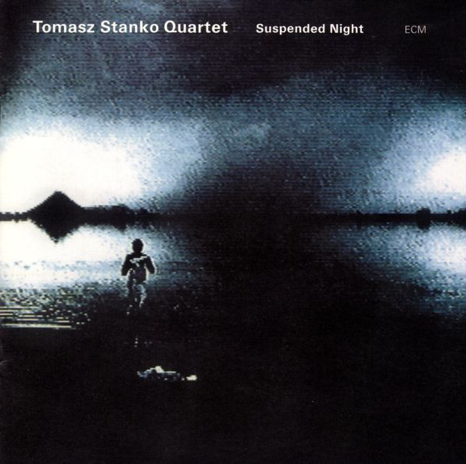 Part II of a tribute to Polish Trumpeter Tomasz Stańko. See part I here. 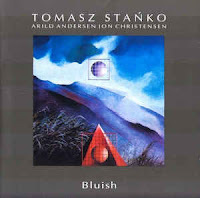 On Bluish, Tomasz Stańko is joined by Arild Andersen (acoustic and electric bass) and Jon Christensen (drums), a Norwegian rhythm section that is so much more. 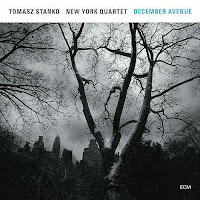 On this album Stańko’s playing has all the hallmarks of his mature style: a facility to chart the bones of a melody in icy tones with an abrasive edge that seems to blister in its more intense moments, and an economy of phrasing that gains power from what is omitted, merely implied, redolent of Miles at his most abstract. The trio unspool complimentary threads with an appreciation of pace and space which gives the album the intimacy of chamber music. Stańko and Andersen, who share the compositional credits, have a mutually sympathetic melodic sense able to develop tunes over an extended span, but sadly this is the only occasion on which they recorded together. A lighter mood breaks through from time to time. ‘My W.S.B. Friend’ is relatively upbeat, and on ‘Bosanetta’ Christensen provides a Latin accompaniment by way of a single muted cymbal – only a musician of his standing would think of that. 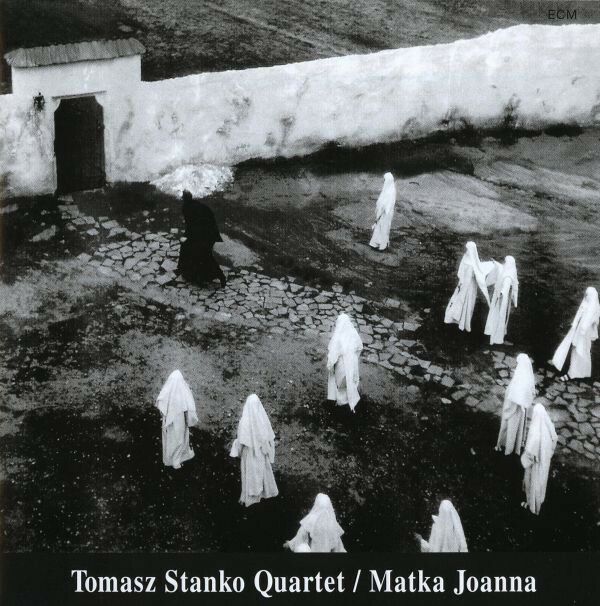 This album marked Stańko’s return to the ECM label, and given Manfred Eicher’s enthusiasm for film it’s fitting that the music takes its inspiration from a landmark of Polish cinema: Matka Joanna od Aniołó (Mother Joan of the Angels) (1960) directed by Jerzy Kawalerowicz, to whom the album is dedicated. In addition to Stańko the session features Bobo Stenson (piano), Anders Jormin (double bass) and Tony Oxley (drums). 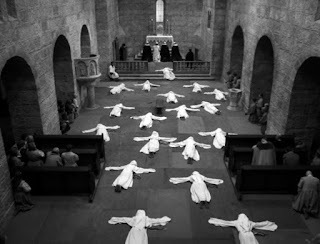 Kawalerowicz’s atmospheric film concerns the demonic possession of a group of nuns, a monk who is sent to exorcise the mother superior, and their conflicted psychological relationship; a study of temptation, suppression and the nature of evil, actual and imagined. Sound is used sparingly and affectively during the film which includes long spans without dialogue. 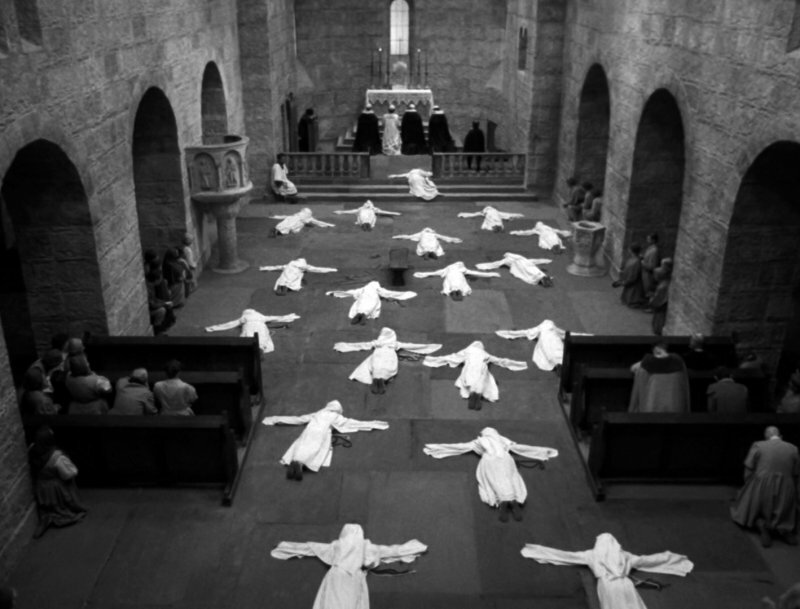 The album is not an alternative soundtrack however, though several pieces clearly reference scenes from the film, its uneasy moods and striking black and white imagery, some of which is reproduced on the cover and booklet. The quartet’s music is pared-down, frequently held together by the thinnest of threads; visions materialising out of the air into a harsh light then slowly, crumbling away. 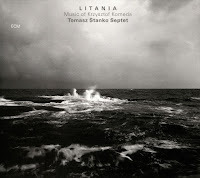 As in the film, events unfurl within a wintry landscape, enhanced by ECM’s typically spacious recording. There’s a feeling throughout that the music plots shifting relations, beginning with ‘Monastery in the Dark’ and the solitary sound of Oxley’s crystalline percussion from which emerges a plangent tune on trumpet joined by sparse piano, gradually taken up by everyone. Here and elsewhere there are pregnant pauses and passages where the music is stripped back even further to meditative trios and duos. Oxley’s role is textural: transitory flicks and clicks scattered across the soundstage, and when bass or piano play alone they amount to reflective monologues rather than solos. The longest track, ‘Matka Joanna from the Angels’, is a slow-moving liturgy with Jormin’s dark and sculptural bass reverberating at its centre. Not all the pieces are related to the film’s themes and some are new workings of previous material. On ‘Green Sky’, a tune dating back to 1975, Stenson’s contributions are exercises in neo-classical restraint and deft articulation, a perfect match for Stanko’s yearning, expressionistic trumpet. ‘Tales for a Girl, 12’ is extracted from Stańko’s suite of that name recorded for trumpet and synthesiser in 1991, another wiry melody drawn out and dissolved by degrees. ‘Two Preludes for Tales’, which follows five tracks later (classic Eicher sequencing) consists of skeletal versions of the same tune, for trumpet and then elegant piano. Oxley’s ‘Klostergeist’ concludes — unearthly gongs and cymbals against a backdrop of ambient rustling as the album returns to pure sound, as it opened. 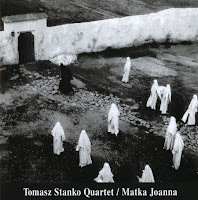 Possibly Stańko’s bleakest recording and admittedly, not music for every occasion, Matka Joanna nevertheless has a frozen beauty all its own. Polish jazz pianist Krzysztof Komeda became known internationally primarily for the soundtracks he wrote for several films by Polish film director Roman Polanski such as "Rosemary's Baby" and "Knife In The Water". Komeda performed in small jazz clubs, fascinated by the music that came over from the US. One of his band-mates in the early and mid-sixties was trumpeter Tomasz Stańko. No wonder that Tomasz Stańko released this tribute to his famous friend. We find him in the company of Bernt Rosengren on tenor saxophone, Joakim Milder on tenor and soprano saxophone, Bobo Stenson on piano, Palle Danielsson on bass, and Jon Christensen on drums, and finally Terje Rypdal on electric guitar on two tracks. Because the music comes from the movies mentioned above, the boppish ballads sound cinematic with a kind of outdated friendliness for the source material. It is slow, meditative music, that will probably not energise many of the listeners of this blog, yet it is worth listening to, if only for the dark melancholy themes that Komeda composed, and the wonderful musicianship that brings it back to life. The center piece of the album is the long "Night-time, Daytime Requiem", dedicated to John Coltrane, a suite-like piece full of drama and shifting between slow moody moments and more uptempo moments of distress. The most beautiful piece, is "Svantetic", one of Komeda's signature compositions, with a slow theme that is built up from long sustained notes on the horns, shifting into staccato changes and a a more dancing and boppish development. Cinematic and jazzy at the same time. Wonderful. "Ballad For Bernt" is dedicated to Bernt Rosengren, and it's wonderful that he is participating in this album, 35 years after initially recording it with Komeda. "The Witch" is a totally different animal: a dark, rhythmless sonic exploration of dread, tension and doom, offering a key role to Rypdal's magnificent guitar playing. Like the other ECM albums, this one also comes with the great art work the label is known for, and this one especially synthesises Komeda's music well : dark, cinematic and dynamic. In 2006, I had the opportunity to see Tomasz Stańko perform at Edgefest, Ann Arbor, Michigan’s annual avant-garde/creative jazz festival. I was only superficially familiar with Stańko’s work prior to that show. But the thing that made the biggest impression on me besides the music (which was outstanding) was Stańko’s undeniable generosity and self-effacement. Here he was playing with guys essentially half his age, a giant among relative unknowns; but he carried himself as just another member of the group—someone merely happy to have another chance to make music. 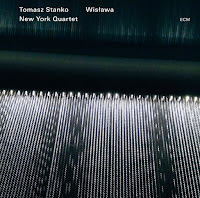 The quartet for that performance was Stańko’s band on Suspended Night, one of his later releases on ECM and his second album with pianist Marcin Wasilewski, bassist Slawomir Kurkiewicz and drummer Michal Miskiewicz, a trio that has gone on to record a few of its own dates for ECM. Here they are perfect in providing a sympathetic foundation for Stańko’s somber lyricism, the occasional rough edges of his previous music largely smoothed out in favor of languid, spare lines that are filled with beauty and wonder. The band does generate a bit of heat on a couple of the tracks—“Variation VI” in particular allows Stańko to move outside the closely-defined parameters of most of the album with some jagged, ecstatic bursts. But as was evident on the record’s predecessor, Soul of Things, and the one that followed it, Lontano, this is music intended to plumb darker emotional depths rather than ignite coruscating energy. Like Kenny Wheeler, another trumpeter whose early recordings were at the forefront of the avant-garde but who similarly took on a more restrained, subtle approach to his instrument during his later years, Stańko showed no diminishment in creativity simply because he pursued a less obstreperous path during the last phase of his career. 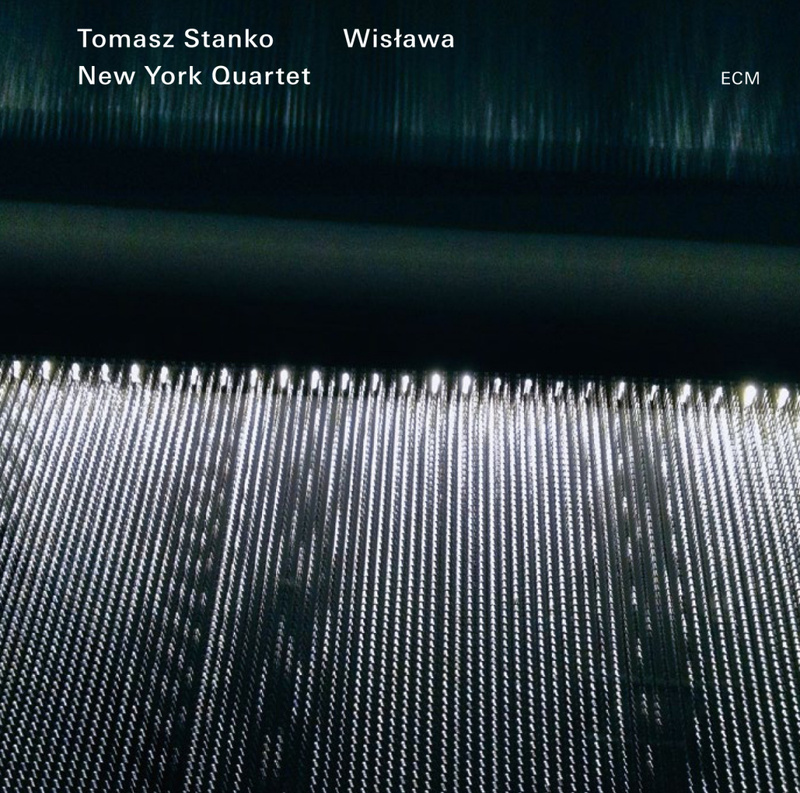 Indeed, it was in his eagerness to work with younger musicians, whether the Wasilewski Trio or the New York Quartet of his last couple releases, that Stańko proved his ongoing vitality and significance. Always searching for new ways of creating beauty, and to find new partners for that search, Stańko epitomized the spirit that has allowed jazz to flourish over so many decades, in all its many forms. 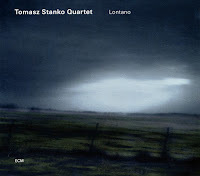 Lontano is no doubt among my favorite Stańko albums. The Polish quartet he's been playing with for many years reaches a level of confidence that goes beyond the agreed form, allowing them to improvise in an almost magic coherence of tone and mood, and without ever tumbling into the danger of clichés. The band are Tomasz Stańko trumpet, Marcin Wasilewski on piano, Slawomir Kurkiewicz on bass, and Michal Miskiewicz on drums. Stańko's sound, oscillating between the closed warm intimate space of cool jazz and the more expansive spacious exploratory adventure of free music, is at its best here. Each piece has composed elements, even if those are just anchor points for the musicians, and completely different directions can be taken midway in an improvisation, as in the title track, when free form completely replaces the initial warm theme, only to be changed later by yet another move into a post-boppish rhythm driven by Wasilewski's piano. Yet despite this stylistic shifts, the melancholy mood of the piece is maintained and colored with additional sentiments of anguish and despair, and finally a kind of resignation. It requires a very good understanding among the musicians to take these musical shifts seamlessly, and it happens here. The long title track gets a second version in the middle of the album and a third version at the end. In the middle of the album, we get the quartet's interpretation of "Kattorna", a nervous Komeda composition full of dramatic changes and cinematic themes, that also figures on the iconic "Astigmatic" album. This album represent Stańko at his purest, with a balanced coherence and unity of voice, and wonderfully produced by Manfred Eicher as can be expected, with every instrument recorded as it should be, crystal clear. In January 2009 Polish poet and Nobel laureate Wisława Szymborska and trumpeter Tomasz Stańko recorded a concert at the Krakow Opera hall, which was released three years later as a book/disc, Tutaj/Here (captured here). Szymborska read 12 of her most famous poems and Stańko responded with immediate, concise reflections. You don’t have to understand the Polish language to grasp the love and appreciation that Szymborska and Stańko shared for each other. Her compassionate, sometimes sobering irony (she was introduced in this concert as the “Greta Garbo of the poetic world”) corresponded perfectly with his lyrical, melancholic humor. Four months after Szymborska's death on February 2012, Stańko recorded an emotional homage to her, simply calling it Wisława, where he offered extended meditations-reflections on some of the same poems recorded on Tutaj/Here. The double-album Wisława was recorded far from Poland, in New York with the newly-founded New York Quartet - pianist David Virelles, double bass player Thomas Morgan, and drummer Gerald Cleaver. Ironically, none of these young musicians is a New York native, but maybe the distance from Poland, the outsider perspective on the world, life itself or the local musical and artistic scene is what connected these gifted musicians to Szymborska's poetic world. After all, her poems introduced a unique perspective on our lives and the world, often as seen by an outsider with keen, insightful observations. The promising New York Quartet recorded only one other album, the beautiful December Avenue (ECM, 2017). On both albums the quartet sounded as just beginning to explore its great potential. Stańko’s free, dark ballads were interpreted majestically by this quartet. This sense of the exploring a new phase in Stańko rich musical life is intensified when visiting again Szymborska’s suggestive poems. The you can enjoy his intimate sense of profound inspiration as his own nuanced, lyrical poetic vision. Later in his life, after Stańko had moved to New York City, he put together a quarter comprised of younger players. On December Avenue, his last studio recording, featured this brilliant and sympathetic group of Gerald Cleaver on drums, David Virelles on piano, and Reuben Rogers on bass. 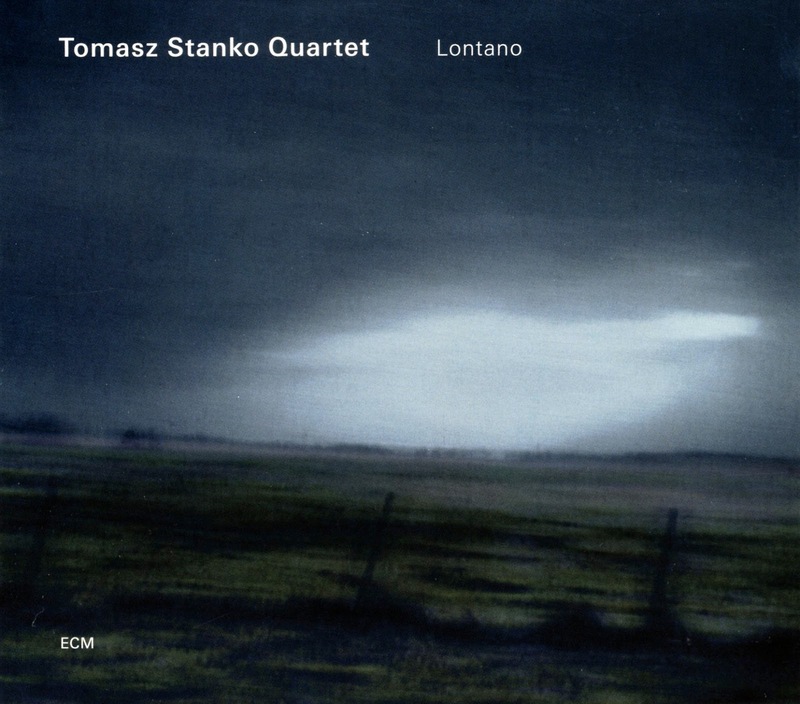 The music here is measured, thoughtful, and lyrical, and it still contained that special tone and feel that Stańko brought to all of his work. The opening four minutes of "Cloud" is as lovely as one could want, with Virelles providing a melancholic, but not overly romantic, accompaniment for Stańko's wistful melody. The second track, funnily named "Conclusion", switches modes, and a much tougher trumpet rides over a deep pocketed bass line. The track "Blue Cloud" is a great example of the group's effectiveness. Virelles' solo is angular and pointed, over the tight rhythm work of Cleaver and Rogers, and Stańko drops in lines with laser like precision. "Sound Space" begins with slow balladic motion and ends with a crashing piano passage, and the title track features an infectious groove that continues as an infectious modern jazz piece. A wonderful album, and sadly, his last. Great!! But, no "Soul of things"? ?